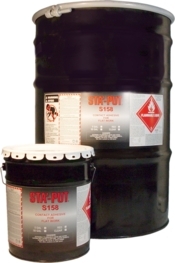 STA'-PUT S158 is a solvent-based contact adhesive specifically designed for HPL flatwork. S158 is specifically formulated to expedite fast, smooth production in industrial spraying applications. S158 offers fast tack, high green strength, and long open time. S158 also exhibits good resistance to heat, humidity, water, oil, alcohol and aliphatic solvent.